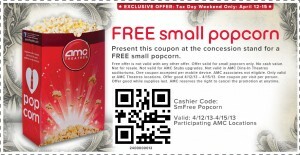 Get a free Small Popcorn coupon from AMC Theaters. Celebrate tax weekend with a free small popcorn from AMC Theaters. Print coupon and present it at concession stand. 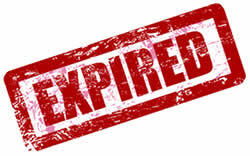 Coupon valid from April 12-15 2013 only.